Photographer Jess Bell was inspired by the work of Andrea Zachrau Photography for her latest project. 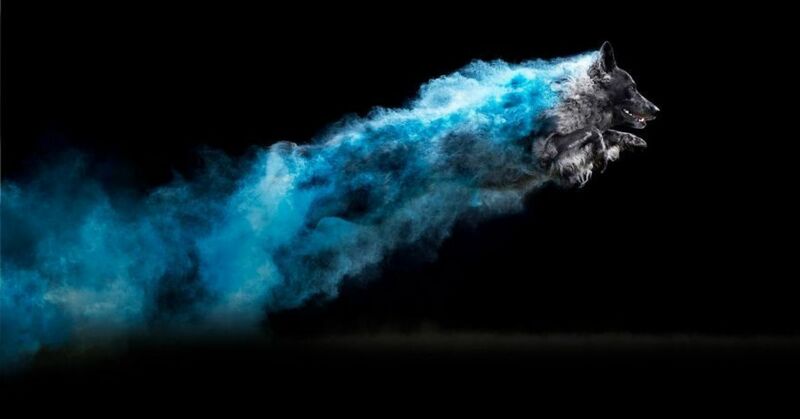 Zachrau photographed horses using colored powder to create dynamic, colorful images of the animals she loves. 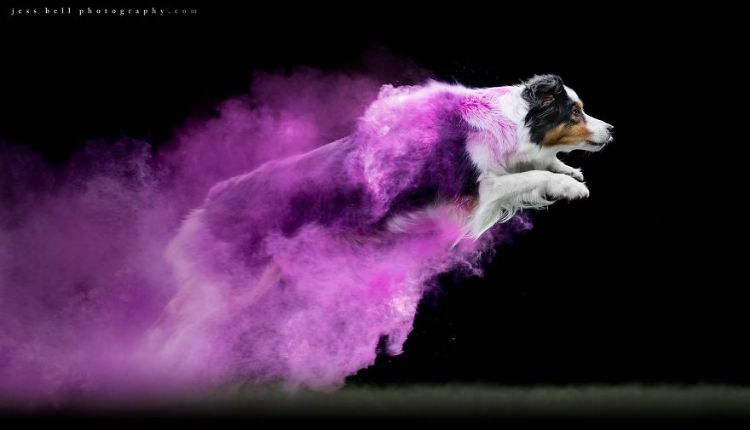 Bell decided to create her own colored powder series using man's best friend. Bell, a Canadian photographer, asked her friends and loved ones to help her out with this photoshoot. 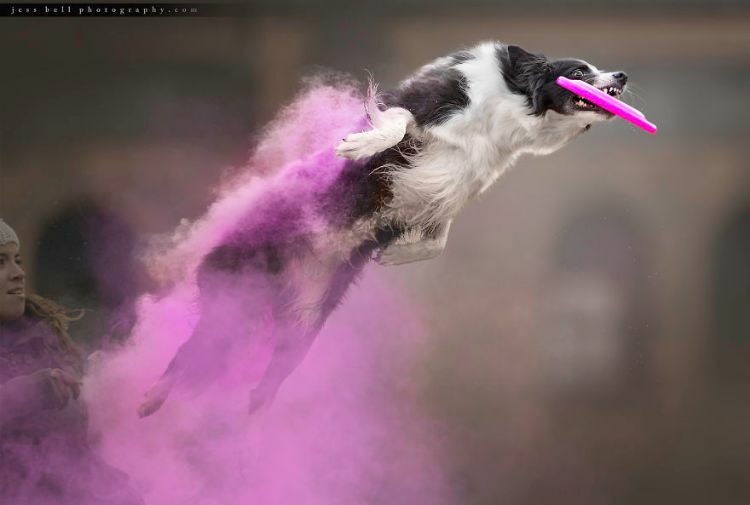 She gathered some of her favorite dog-owning friends, as well as their pets, and had them throw toys or biscuits for their pooches as she photographed them in motion. 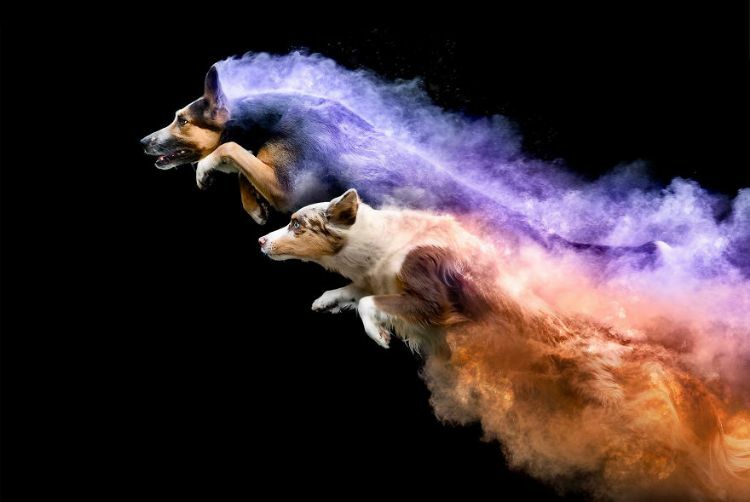 At the same time, the dogs were covered in colored powder, creating an explosive effect when they moved. 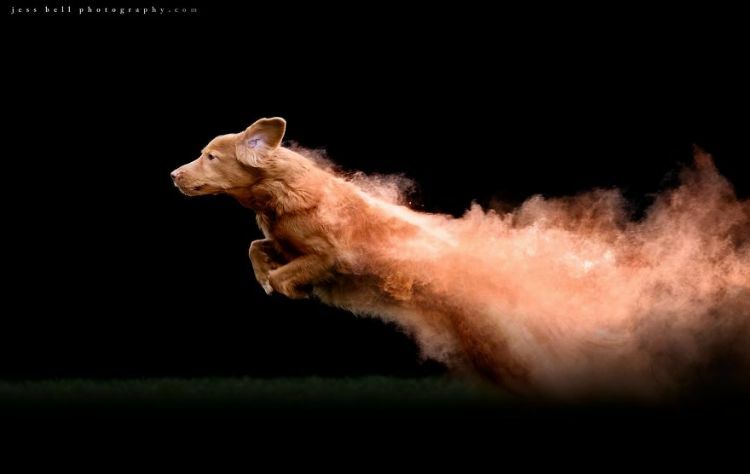 Bell sometimes chose to use powder that looked similar to the color of the dog's fur, such as in the photo above. Often, though, she chose a color that starkly contrasted with the dog's fur, such as the photo below. She assures her audience that the colors were captured in real time on location. Bell says these photos are "turning heads all over the internet" because of their dynamic and incredible look. Although she was hoping to create beautiful, fun images, she also wanted to highlight the different body shapes of different dog breeds and how each breed moves. For Bell, these photographs mostly highlight two ideas: hard work and joy. She believes dogs work so hard for their owners whenever they are asked, "frequently for nothing more than the toss of a toy or a dried biscuit." 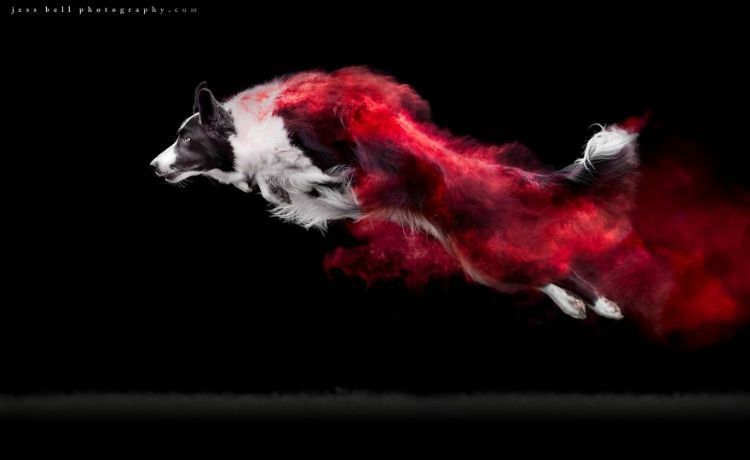 The photos allow the viewer to see what tremendous athletes dogs really are. In addition, the joyfulness of these photos highlights the dogs' excitement at being asked to run, jump and catch. "And likewise," Bell says, "the joy I feel when capturing these images makes my heart sing."